Featuring Mariana Mihai-Zoeter, soprano and SSG Chris Leslie, euphonium, West Point Band, we celebrate two great Americans, John F. Kennedy and Leonard Bernstein. This concert is a part of the year-long celebration of America's great artist, Leonard Bernstein, in the celebration "Bernstein at 100!" te and lovable.” The newly elected President selected Bernstein to compose and conduct a fanfare for Kennedy’s Inaugural Gala. Bernstein soon became a regular presence in the Kennedy White House. In turn, the President and his wife attended the opening night of Candide. Bernstein kept a signed photograph of the President on his piano. The concert will be held on Sunday, November 5 at 2 p.m. at McCormack Performing Arts Center, 41 Morrill Avenue in Gorham. Tickets are $8 for adults, and $5 for seniors, USM alumni, and students. Purchase tickets online at www.usm.maine.edu/music/boxoffice, or by calling 207-780-5555. Originally from Cincinnati, Ohio, Staff Sergeant Christopher Leslie joined the West Point Band in September of 2016. 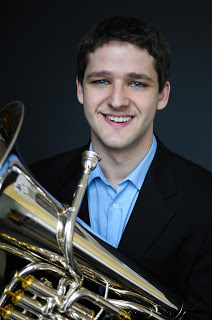 He earned a Bachelor of Music Education from St. Olaf College, a Master of Music in euphonium performance from the Indiana University Jacobs School of Music, and a Doctorate of Musical Arts from the University of Georgia. His previous teachers include David Zerkel, Daniel Perantoni, David Werden, and Hiram Diaz. Staff Sgt. Leslie has been a featured soloist with the St. Olaf Band, the St. Olaf Orchestra, the Indiana University Wind Ensemble, the University of Georgia Wind Ensemble, the University of Georgia Brass Band, and the United States Army Band “Pershing’s Own.” He has garnered success in competitions across the United States, taking first place in the Leonard Falcone International Euphonium Competition, the International Tuba Euphonium Conference solo and mock band competitions, the U.S. Army Band Tuba Euphonium Workshop mock audition competition, and the U.S. Army Band National Collegiate Solo Competition, in addition to being named runner-up in the MTNA Brass Solo Competition. Outside of music, Staff Sgt. Leslie enjoys watching baseball, college basketball, and college football, and dreams of one day seeing a Cincinnati sports team win a postseason series. Dr. Mariana Mihai-Zoeter was born in Braila, Romania. Her first serious voice lessons were with Mariana Iordache at the School of Arts in Braila, where in 1986 she graduated with highest honors. She performed her first recital with arias and lied at the age of seventeen and at the age of eighteen she was contracted by the Opera and Operetta Theater “Nae Leonard” in Galati, Romania. Highlights of her singing career have been performing with the “George Enescu" Philharmonic at the Romanian Athenaeum in Bucharest, Opera Constanta, The National Opereta Theater “Ion Dacian”, Bucharest, Romania, OSESP The Symphonic Orchestra of the State of Sao Paulo at the Sala Sao Paulo, the Teatro Amazonas in Manaus, the Teatro da Paz in Belem, the Teatro “Jose de Alencar” in Fortaleza, Brazil, the PostClassical Ensemble at the Family Theater at Kennedy Center in Washington DC and many more. 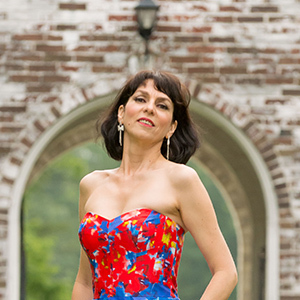 Dr. Mariana Mihai-Zoeter joins the School of Music faculty at USM as head of the voice program after thirty years of an international career as a performer, voice teacher, clinician, conductor, and opera director.She is a member of the National Association of Teachers of Singing and member of the Music Teachers National Association.